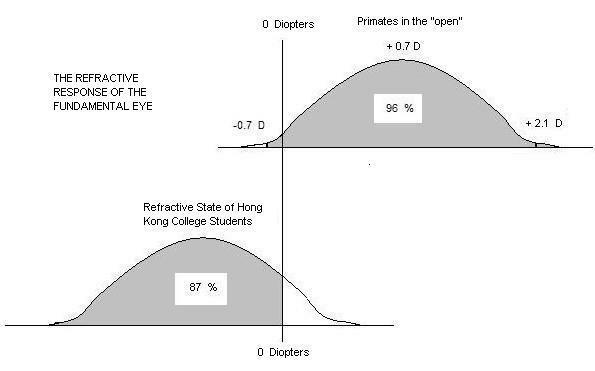 The refractive states of the Hong Kong students entering college are 87 percent myopic (negative) with the remaining are positive. 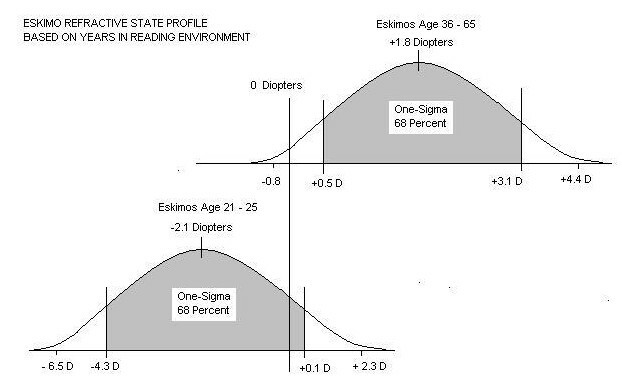 Compare this with the refractive states of Eskimos in the "open" and primates living in the wild. 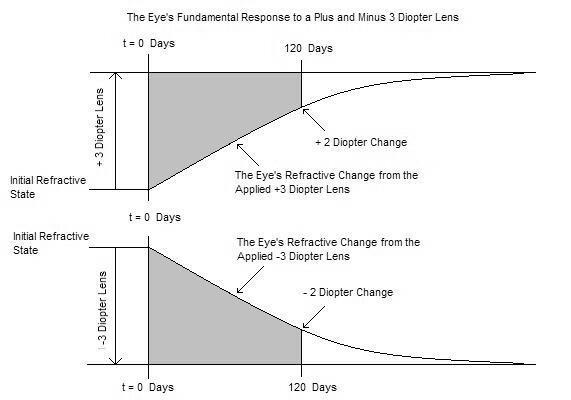 This is the eye's fundamental response to an applied 3 diopter lens. From the paper: "Spectacle lenses alter eye growth and the refractrive status of young monkeys".